Paws for Life's mission is to speak for those who cannot speak for themselves; to rescue and re-home abandoned pets; to promote humane education, spay/neuter initiatives and respect for all living things; to prevent and report animal cruelty; to improve the lives of animals and to end the suffering created by puppy mills, animal fighters and backyard breeders; and to be a driving force, leader and champion for animal welfare in Michigan. 18 PAWSOME STRETCHY BRACELETS FOR KIDS ~ NEW ~ BIRTHDAY PARTY FAVORS OR GIFTS! For use with CANON Printer Cartridges 270XL, 271XL HIGH YIELD Black, Magenta.. SALLE!!! 3 ROLLS TAPE (2 TYE-DYE DUCT TAPE & 1 PAISLEY PLATYPUS TAPE) ~NEW! LABRADOR DOGS, SNOWMAN, CAT SNAP BUTTON CRYSTAL NECKLACE ON A 25" CHAIN ~NEW! BLACK & WHITE CAT IN HEART SHAPED CHRISTMAS Ornament (1) Handcrafted Brand new! SAMOYED MOM & PUPPY DOG SNAP BUTTON CRYSTAL HEART NECKLACE ON A 25" CHAIN ~NEW! COLORFUL BOSTON TERRIER DOG SNAP BUTTON CRYSTAL NECKLACE ON A 25" CHAIN ~NEW! 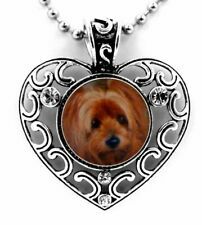 YORKSHIRE 'YORKIE' DOG SNAP BUTTON CRYSTAL HEART NECKLACE ON A 25" CHAIN ~NEW! SIBERIAN HUSKY DOG SNAP BUTTON CRYSTAL NECKLACE ON A 25" CHAIN ~NEW! 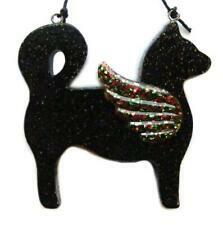 ANGEL CAT ~BLACK w/MULTI-COLOR WINGS Christmas Ornament ~Brand new! 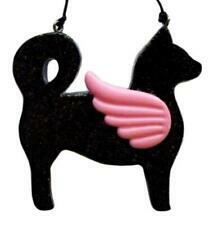 ANGEL CAT ~BLACK w/PINK WINGS Christmas Ornament ~Brand new! COLORFUL BOSTON TERRIER DOG SNAP BUTTON CRYSTAL HEART NECKLACE 25" CHAIN ~New!